I’ve somewhat lost the thread of blogging regularly, but I have still been out with the camera and have picked up a few interesting images on the way. This is therefore something of an eclectic collection of recent photos that I quite like. I will include some fox updates as well. 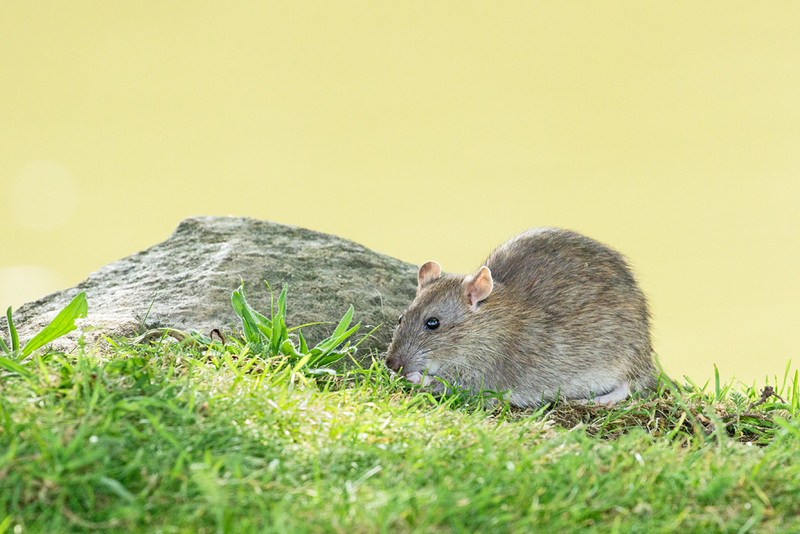 The most recent photos were yesterday when I spent an hour or so at Falmer pond. 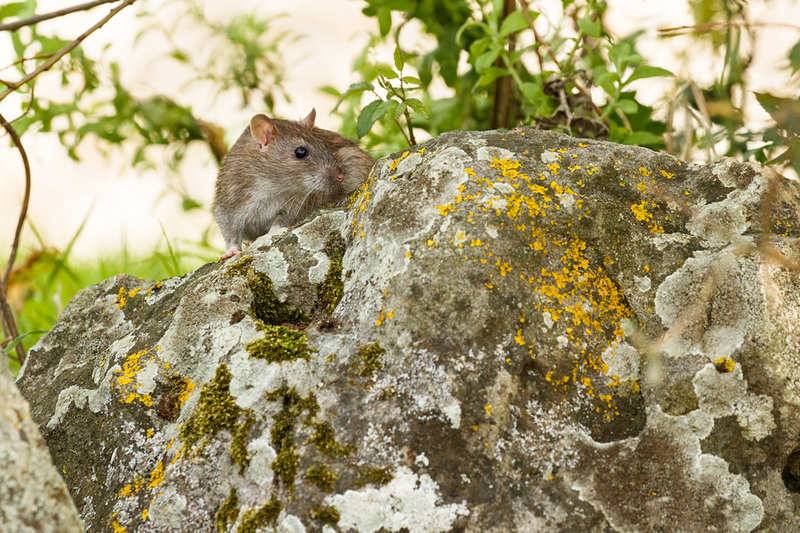 It was very quiet on the bird front, but I did find a nice spot where a couple of rats were playing by the water’s edge. They tend to keep to the runs just under the lip of the edge of the pond, so for much of the time they are hidden from view. I got this shot, which is one of my favourites from yesterday from across a corner of the pond. 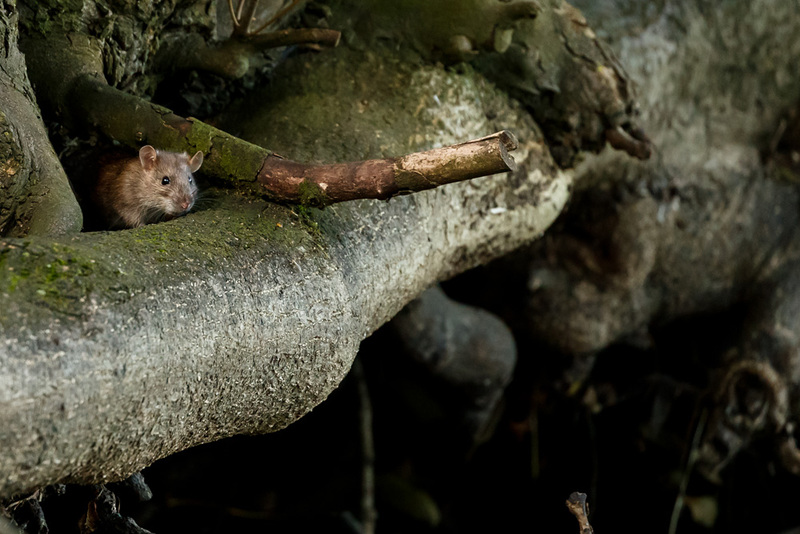 Rat perched on a tree root running underneath the overhanging lip of Falmer Pond. 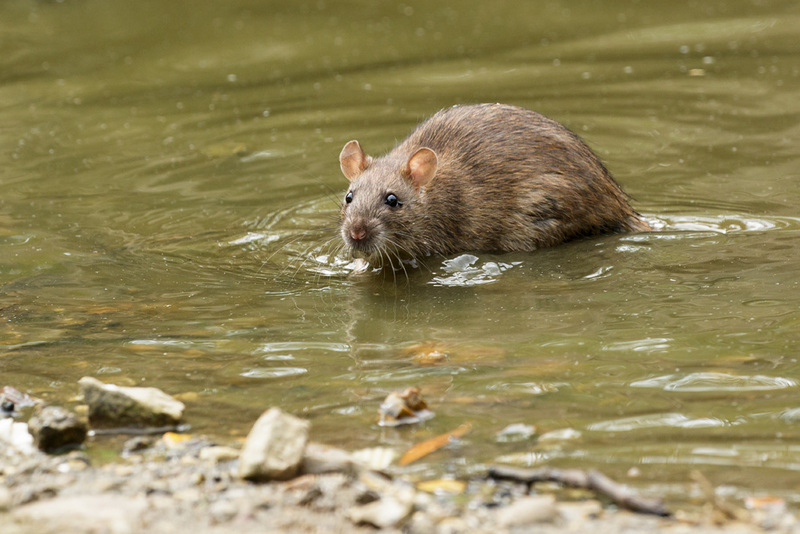 I also quite like this one of one of the rats swimming. The pond is a complete mess at the moment… leaves cluttering it among the blue-green algae and generally looking grubby. 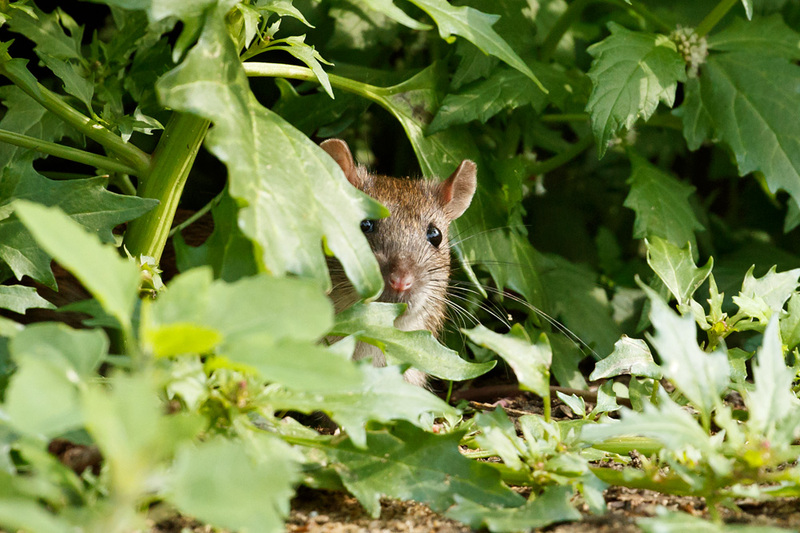 But that’s fine for Rattus norvegicus. This next shot was also taken at Falmer, at the tail end of October on a day where the low sun was creating some beautiful autumn colour. 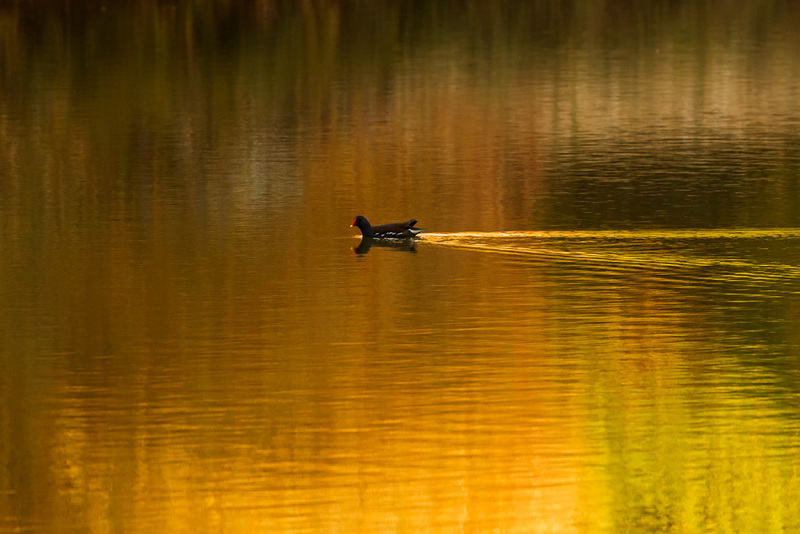 It’s a simple shot, but it took an age for anything to swim across the reflected colour and add a little details. So many thanks to this little moorhen for taking up the baton. 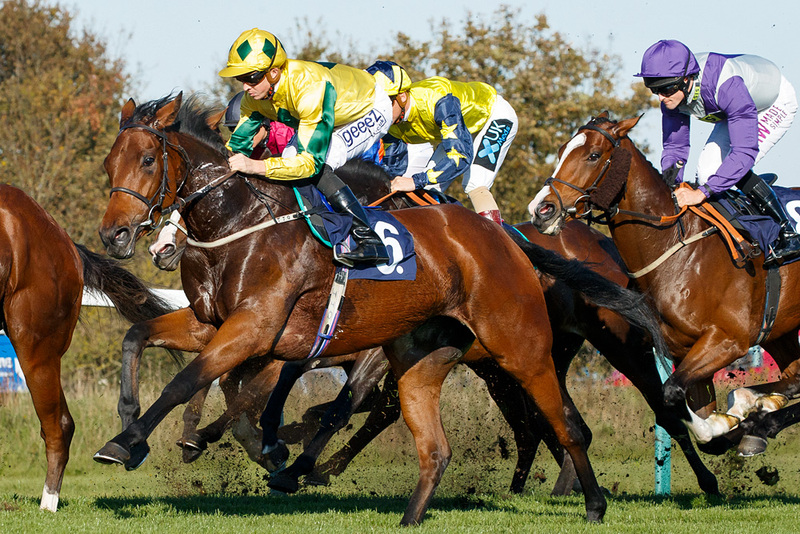 I’m now going back a full month to October 9th, when I stumbled across a race meeting at Brighton Racecourse (otherwise known as Sheepcote Valley (the track runs across a public access area). It was a lovely sunny day, and I had plenty of time to work out what I wanted to do. As well as plenty of hard ‘racing’ shots I also played around with long-shutter panning shots as the riders cantered up to the starting boxes. 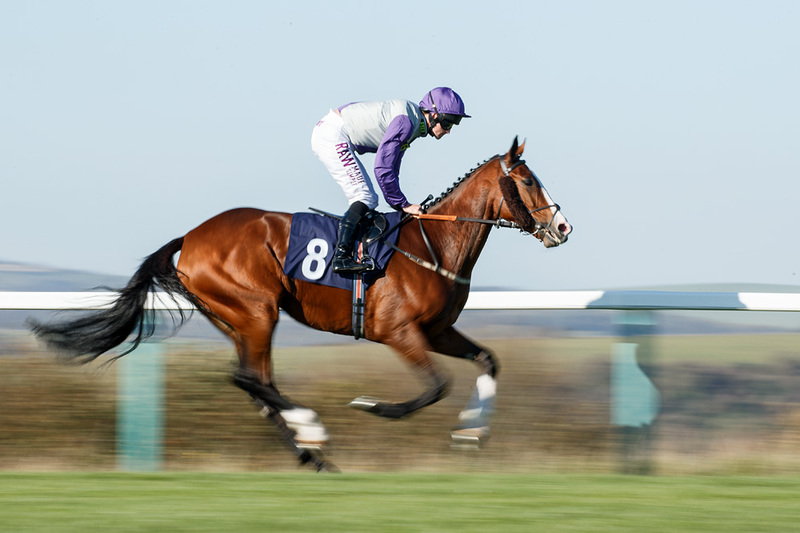 This is Barrsbrook cantering to the start of the 3.30 race, ridden by Hector Crouch. He finished 2nd. 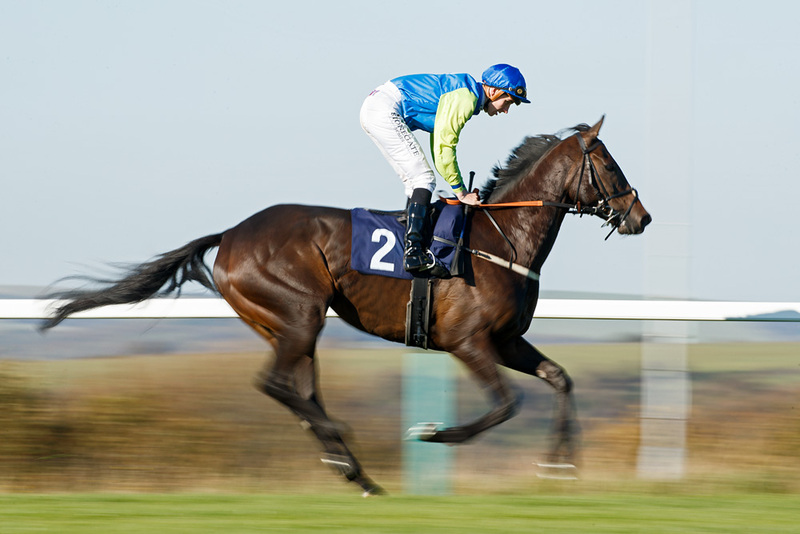 The horse is Junoesque cantering to the start of the 3.30 race, ridden by Charlie Bennett. It finished 4th. 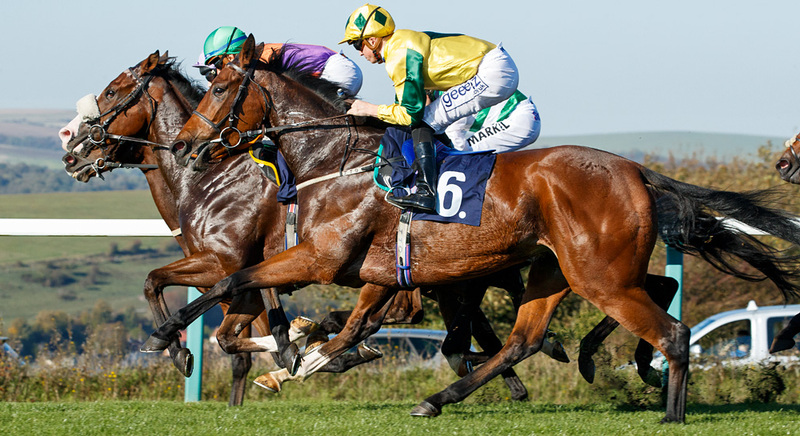 The 3.30 race. Horse 6 is Military Madame ridden by David Probert. It finished 11th. 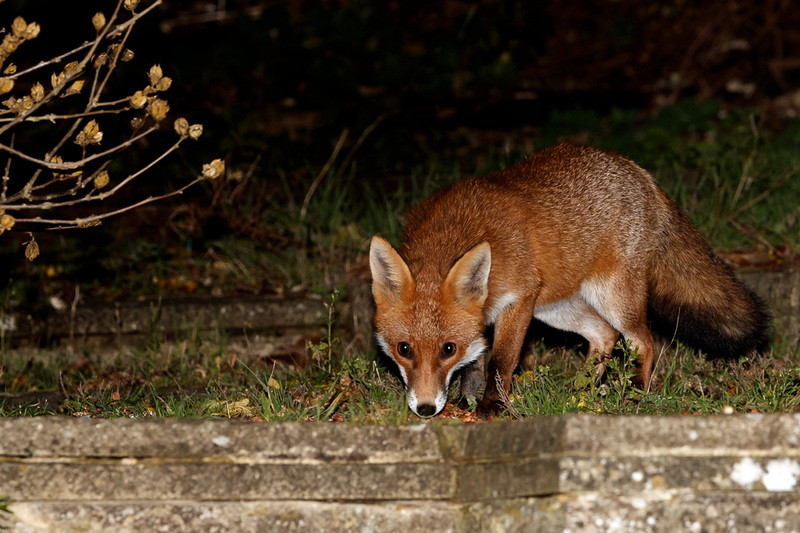 Now to the foxes… As I think I have previously mentioned, the young foxes have crept away as autumn and winter set in. This happens every year, though sometimes one youngster will be allowed to stay close to their birth territory. Last year it was Pretty, who has remained a constant visitor for 18 months or so. 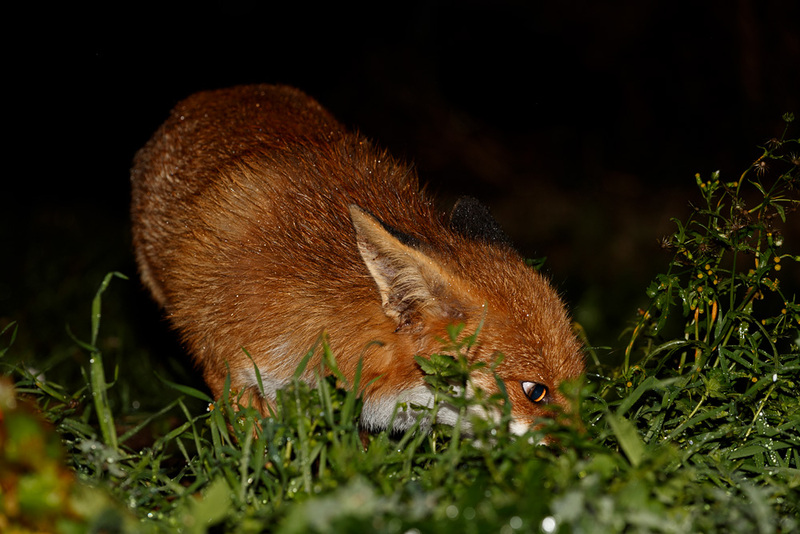 She is now the only regular fox we see, though there are others lurking. A couple of nights ago we noticed she had an injured ear. 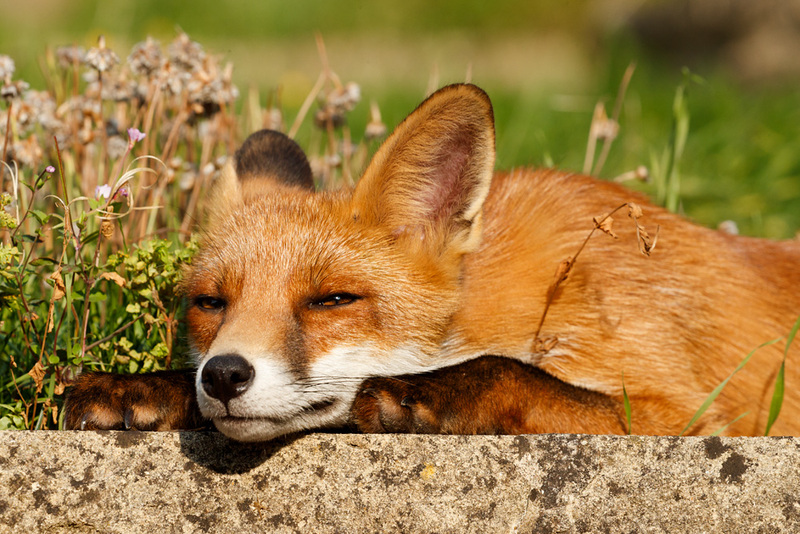 She wasn’t too concerned and injuries are very much a part of the fox’s life. Hopefully it will clear up quickly. It’s possible she has been in a fight over territory, but it is very difficult to keep track of vulpine social organisation. Anyway, the wound is fairly obvious in this shot. Pretty, with wound to her right ear (left of image). Taken on 7/11/18. Prior to that she has been on really good form, and back at the beginning of November posed beautifully at the top of our 5 foot garden hedge. It has been some time since she has done this, and the trigger may have been a small cat who sometimes visits the garden. With the other foxes keeping their distance Pretty has been the mainstay of the Fox of the Day page. 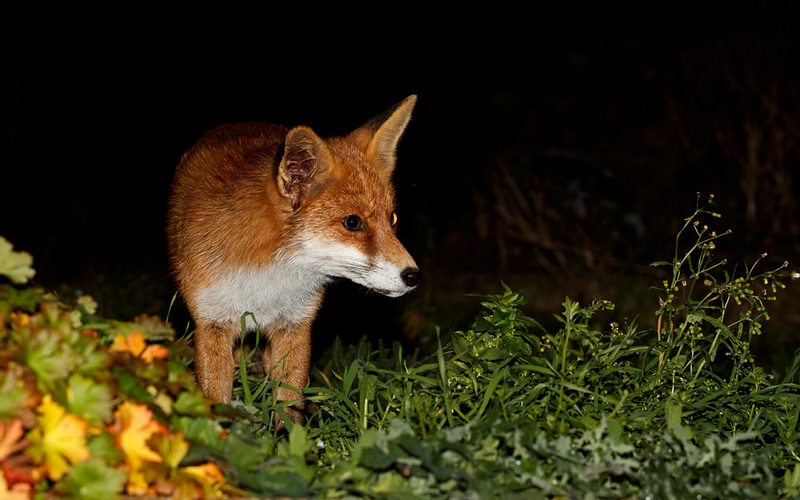 I try to keep that fairly varied (at least in the style of photo), but at this time of the year it can be difficult so I was delighted when a different fox appeared last night. I have caught glimpses of it before, but it’s very shy and usually has scuttled away before I have any chance of taking a picture. 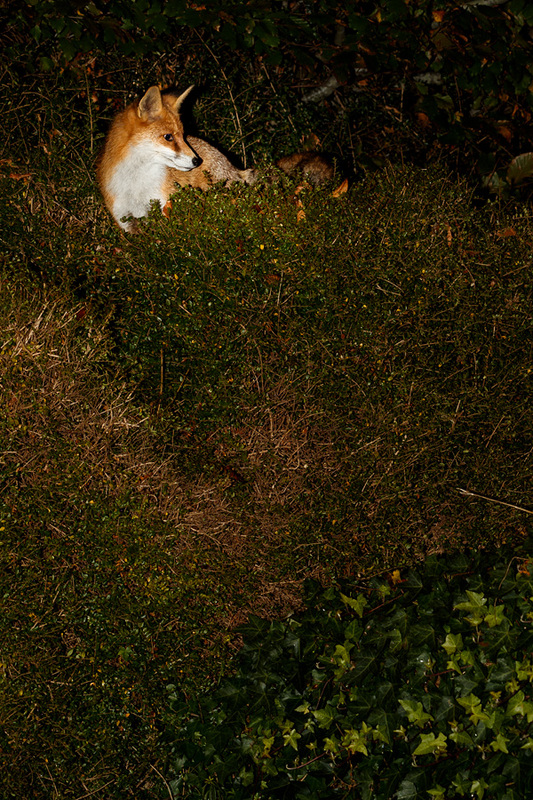 Last night the balance of food or flight played into my hands and so here is the newest fox in the garden. To bring this right up to date, here’s one more photo of Pretty from which it appears her right ear is healing up nicely. This was taken a few minutes ago in a howling wind and lashing rain. She was fine about the weather but I wasn’t going to stay outside for too long. Pretty in the rain. Her wounded ear appears to be improving. Camera note: all photos taken with the Canon 1DX Mark II and EF 100-400mm f/4.5-5.6L IS II USM or EF 70-200mm f/4.0L IS II USM lens. 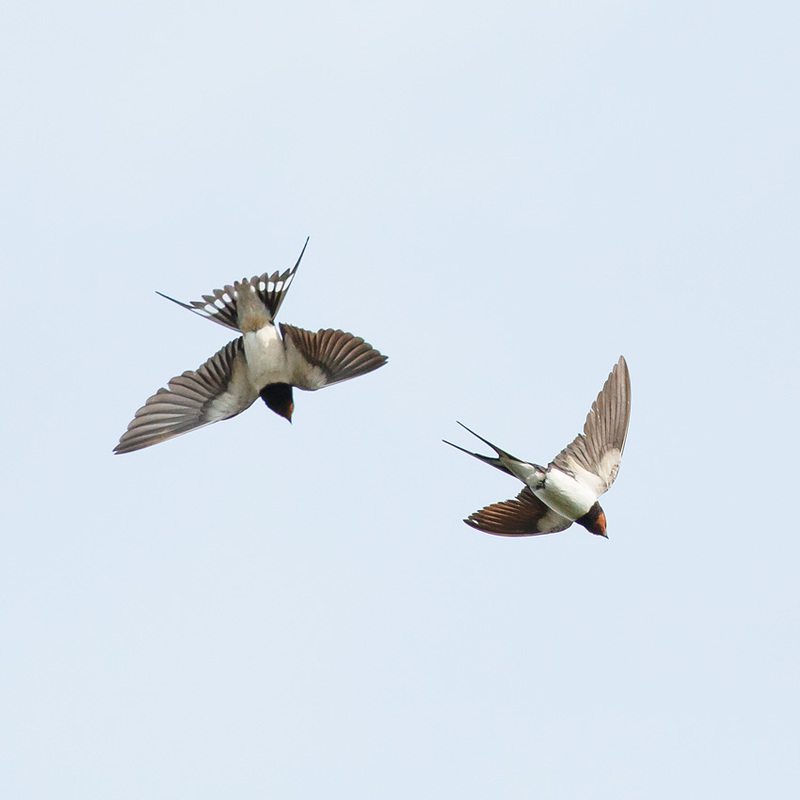 I’ll start with the barn swallows. 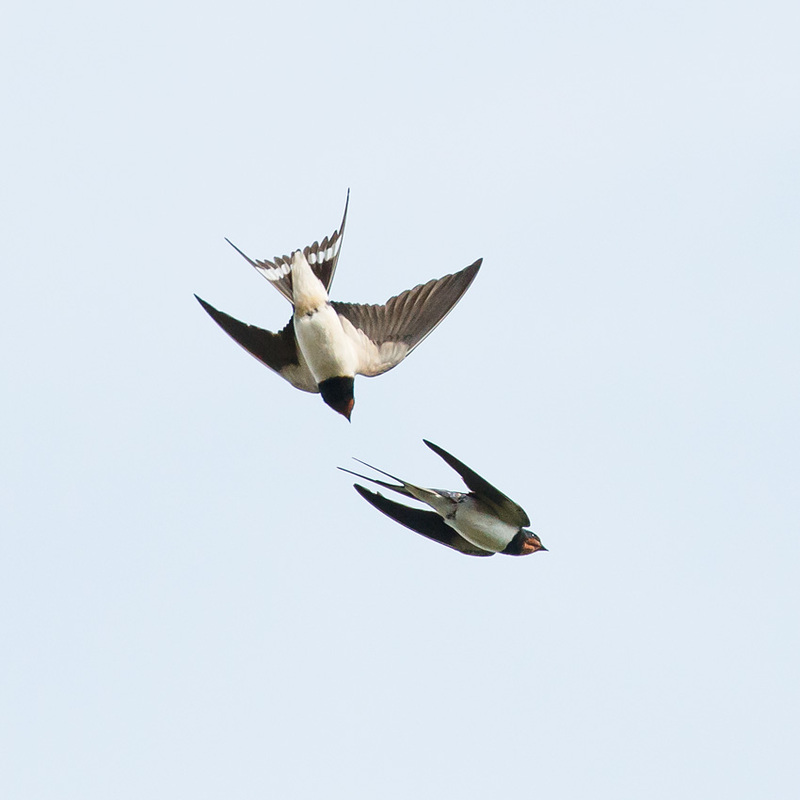 I took these photos yesterday of them swooping high above farmland at Falmer. 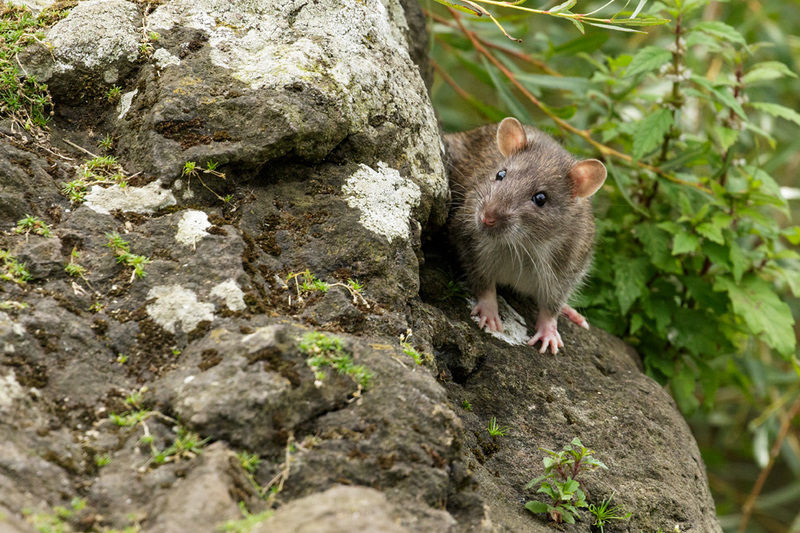 Being Falmer I also kept my eyes open for the local rodents. After a relatively barren period they do seem to be back, though not in quite the numbers of a few years ago. 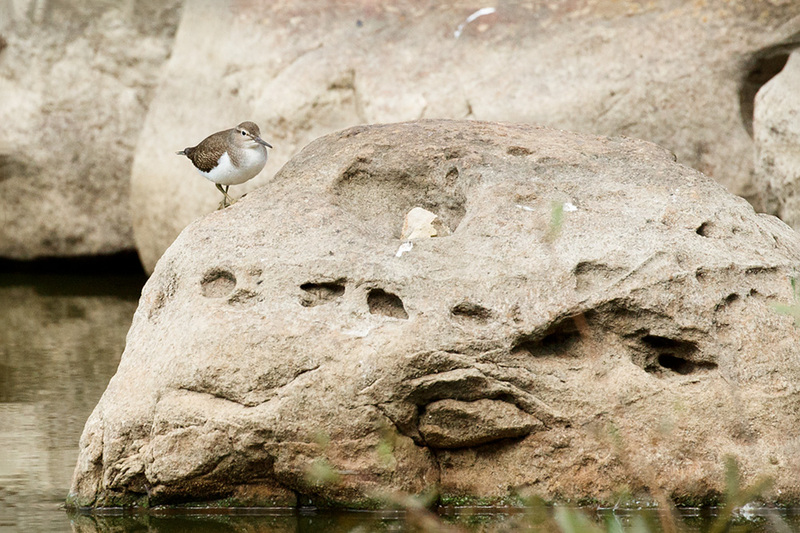 As always there were plenty of gulls and ducks, but less common is the common sandpiper. 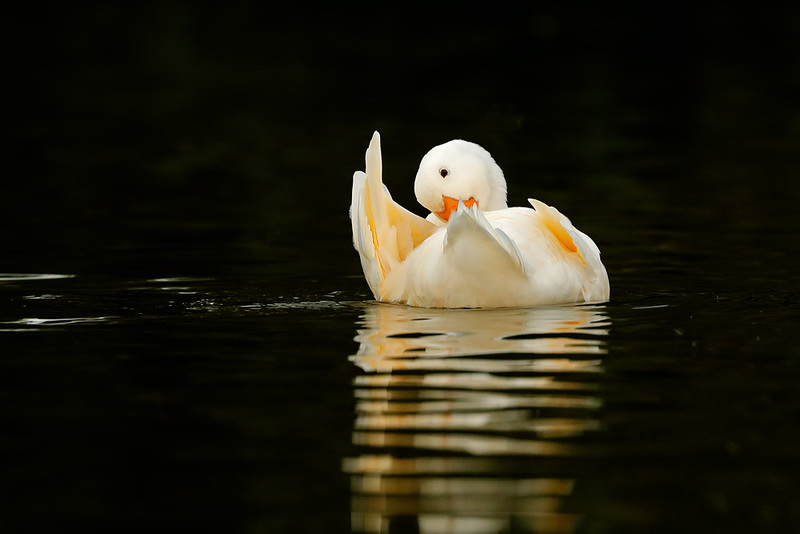 These birds are very shy and extremely difficult to approach. And just because I can, here’s a portrait of Long Nose, the young male fox in an ultra relaxed frame of mind. 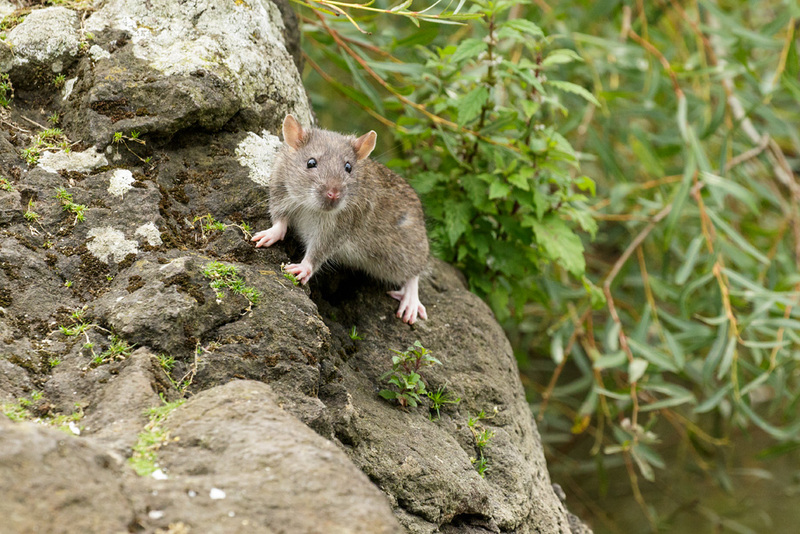 If you go back a couple of years or so in my blog you will find multiple posts featuring the rats down at Falmer Pond. It’s a near perfect environment for them and they generally stay close to the pond. In recent years there have been concerted efforts to reduce the population, and largely its been successful. They’ve become very tricky to spot. I don’t know whether it was the very muggy weather today, but for once they were much in evidence. 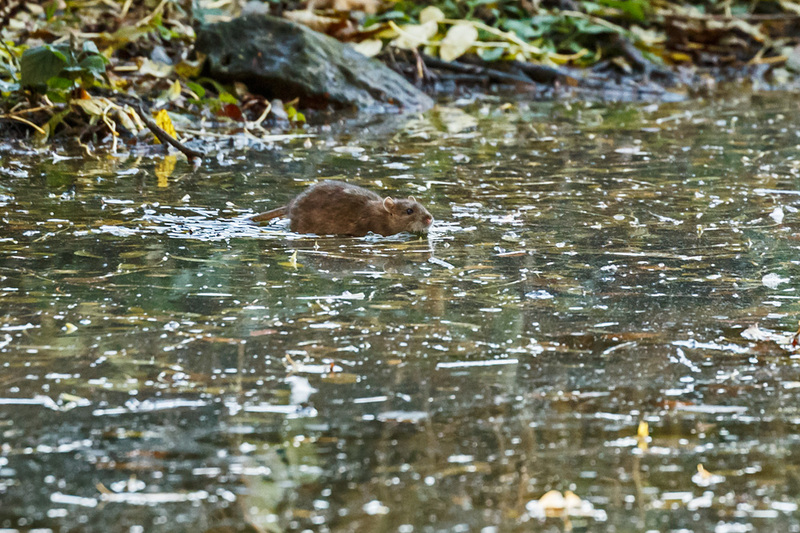 Here’s a small selection of them foraging at the edge of the pond.